You are here: Home / News / 3, 2,1… The New Website Is Launched! I’m excited to announce—at last—the launch of my new website and a host of associated goodies. Be sure to drop by and take a look around. There are all sorts of new nooks and crannies to explore, including special sections for readers and writers and a new monthly e-letter (featuring exclusive content, including articles, Q&As, quotes, and creativity prompts). All of the new products and services I’ve been talking about and offering as Winning Friday prizes throughout September are now fully available. 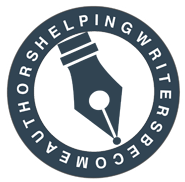 You can find the CD Conquering Writer’s Block and Summoning Inspiration, the editing service First Chapter Story Consultation, and the exciting new Helping Writers Become Authors Network, among other things. So be sure to hop on by and go exploring! Of course, my goal is to use the site to help you as best I can with your own writing goals. So if there’s a way you think I could be doing that better, please drop me a line and let me know. Today marks the finale of the Winning Friday drawings. Thank you all for participating in the fun! The winner of the free membership in the Helping Writers Become Authors Network is Galadriel. Congratulations, Galadriel! Your prize is in the mail, and I’ll be emailing you with instructions on submitting your story to First Chapter Story Consultation. The Winning Friday contests are at end (until the next book/CD/website release anyway! ), but I will be offering a few CD giveaways during my blog tour. Guest posts, interviews, and reviews of Conquering Writer’s Block and Summoning Inspiration are all on the list! I’ll be posting updates and links throughout the next couple months if you’d like to come along for the ride! Looks great and so much helpful information. Thanks so much. I was so excited to get the notification email! Thanks, all! I’m excited to finally be able to share it with everyone. How exciting! I love the website and your picture is fabulous!!! Love the new site design (and the new author pictures). Well done and thank you for asking me to be part of your blog tour. My review of your CD is being posted Monday! The new site looks great. Congratulation on a lot of work completed. Thanks for sharing my fun, folks! It looks terrific, Katie. And so does your pic. CONGRATS! The new site looks great. I’ll be back to check it out more. Looks wonderful! You’ve done a beautiful job! This is fantastic!!!! Well done! Katherine and T. Anne – thanks so much!